Discussion in 'Q&A' started by lachlan, Dec 5, 2018. Hi all, sorry if this isn't suitable for this forum. I'm working on a list of first generation Freefall rides, located on the Tilt-A-Wiki/Flat Ride Wiki website (disclosure: I am an admin here). According to the Intamin website, fifteen were built. So far I've recorded thirteen of them and I figured someone here may know which two are missing. Here's the link: https://tiltawiki.net/wiki/Freefall It's a wiki so feel free to add anything in! Matt N, Coaster Hipster and Peet like this. Nice article. I've been on the one in Italy and I much prefer it to an S&S Tower. The initial gut punch from the drop is sudden (just like the newer Intamin ones) and the feeling of turning over on to your back at top speed is very unique. Hurtling towards the brake run feet first is a strange but intense feeling. It's a shame there aren't many first gens still in operation. Love the article. Can't help but will say those rides were great. They have gone the way of the dinosaur but happy to have been on both Demon Drop as well as Mr Hydes Nasty Fall. Good times! The Intamin reference list has only fourteen Free fall rides. The fourteenth (missing from my list) operated at Space World (RIP). This free fall was half-mentioned in a post on TPR ("I think Space World had one but it's long gone now" or something like that) but I didn't list it as after a brief search I couldn't find any other info on it. Now for the fifteenth, I don't know. My best guess is the fifteenth is in fact the cancelled Six Flags Over Mid-America/St Louis copy mentioned in this page of the fantastic Shane's Amusement Attic. I also came across a very interesting post with pictures of an apparent planned Disney Freefall ride. I can't the link now that I'm on my phone so I'll add it when I'm back on my PC. I'm confident I should get to Japan, Italy or the US before these all go. Can't wait to try one myself! I really liked Demon Drop at Dorney when I rode it. Do you happen to know how many of those are still operating? A park that used to operate on the outskirts of Taipei in Taiwan might be the one you're missing (unless it's a knock-off; though I haven't heard of any other possible knock-offs). Pokemaniac and Benenen like this. Damn I'm hoping to visit Taiwan in January, you had me excited to ride it... but thanks very much for that, I'll check that out tomorrow. As well as Demon Drop, Nagashima Spaland, Himeji Central Park and Rustsu Resort definitely have operating Freefall rides (at least, they are listed on the park websites). I'm pretty sure Tokyo Summerland's copy is still there too (not checked their website though). And Hollywood Tower at Movieland. There was also one running up until mid 2017 at Beto Carrero World in Brazil, this has been dismantled and apparently sold to another Brazilian park. Let's see if they get it running! 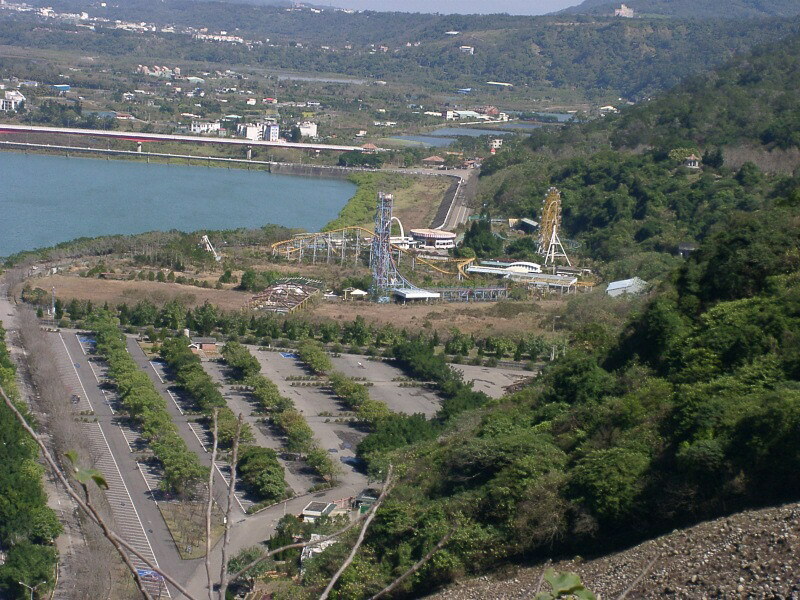 Said Brazilian park is located in Cotia near São Paulo and will be named Elephant Park. And here are some removal pics. Peet and lachlan like this. Yep, most of the sources I used are either on the Freefall page or on the individual ride pages so do check those out. Plus there's the ever helpful reference list, though after being reminded of its existence I realised I had it in my Google Drive. I can't find it on the Intamin website any more. Hi guys. Just thought I'd bump this old thread as I was in an "Intamin 1st Generation mood" today. First...I am bummed about Elevador leaving Beto Carrero! I am living in Brazil at the moment and was hoping to dive down there at some point to get to ride it. Good news is that I am living in São Paulo and that it may be coming near here. Does anybody know anymore about that? Seems to be kind of a dead end. I hope it opens, but I'm not holding my breath. Second, please check out the pic I (think?) I posted here. This is from the Hafema website and shows off their rapids ride for Japan's Space World. Not sure when it was taken but it does seem to clearly show an Intamin First Gen Freefall in the background. So it does appear that Space World did indeed have one, although solid dates are unknown. However, one can assume that Space World replaced it with another drop tower. And they did have a Space Shot model in 2006 based on some old pics and satellite images. It appeared to be SBNO in '06 and was removed soon after. (It also looks to be in a different location, farther from the rapids ride, but regardless one would think it still indirectly replaced the 1st Gen). So... last part. It within the realm of possibility that the Space World model and the Asia Paradise Taiwan model are one and the same. I have no solid evidence to back this up, but the dates appear to somewhat work. The Taiwan model only shows up in satellite images around 2004 before being removed. Could have been there before '04 but I wouldn't know. But at the point, Space World already had the Space Shot and presumably would have given away the Intamin 1st Gen years before. Moving it to a small also-Asian country not so far away seems like something that could feasibly happen, and with all the other 1st Gen's accounted for or already removed in this time-frame, I think this may be the only one where the dates could possibly work. 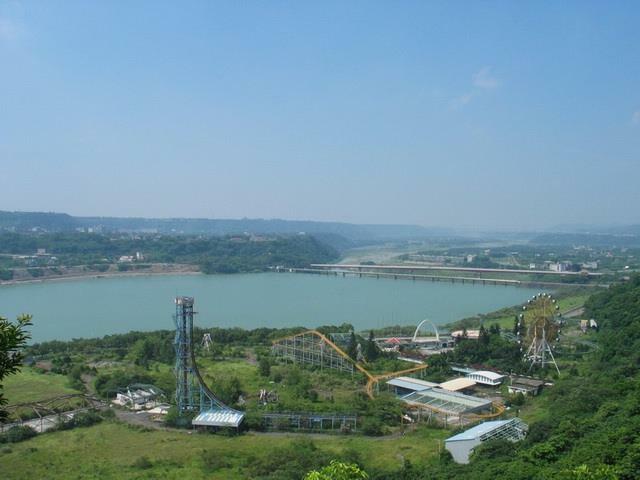 * However, I guess you could take into account the Taiwan model being a completely different Intamin, or a knock-off (it does look a bit sketchy, doesn't it?). I'd love to hear your thoughts on this! *With the exception of Astroworld's--was SkyScreamer confirmed demolished? Yes it is being relocated to Sao Paulo. Going onto google real quick brings up photos *and* videos via YouTube of the first gen that was at Space World. Oddly enough I was trying to find old photos of Space World a few weeks ago and came across a ton of their Freefall. Wow! Very cool. Looks like it was replaced by the Ferris Wheel. And it closed in 1999! Didn't know that. I wonder if it could feasibly be the Taiwan model. So I guess I am pretty bad at researching! Maybe because I did not try Japanese... I can't find any videos though. Videos I found a few weeks ago showed the freefall as part of either an overall park tour video or like promo reel. I didn't find any that were *just*the tower.